Is Jo Nesbo’s Headhunters Kiss Kiss Bang Bang: Part 2 In Disguise? 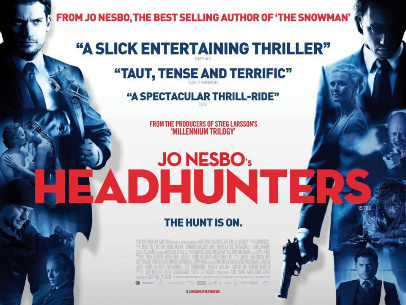 Hailed by many critics as a taut, suspenseful Norwegian thriller, Jo Nesbo’s Headhunters premiered at the Glasgow Film Festival over the weekend. And, based on the newly released UK quad’s eerie similarities with Shane Black’s seminal cult classic (they’re almost identical), Headhunters promises to be the sequel to Kiss Kiss Bang Bang you, or I, were unaware of. While there’s no immediate problem with the marketing teams plan to capitalise on audiences love for Kiss Kiss Bang Bang by showcasing the similarities between the two, it’s slightly irritating that they couldn’t find a more subtle way of doing it. It would be wrong for me to sit here and criticise Headhunters as I haven’t seen it yet, but I doubt it’ll match up to the sheer zaniness of Kiss Kiss Bang Bang, and the peerless banter shared by Robert Downey Jr., Val Kilmer and Michelle Monaghan. And, by doing this, producers are setting themselves up for an even greater fall if Headhunters fails to catch on with the UK audience. That said, if the poster is an accurate representation of the film, then it might be well be the Kiss Kiss Bang Bang: Part 2 I’ve been waiting for. Anyway, I’ve embedded the two posters below. Can you spot the similarities? 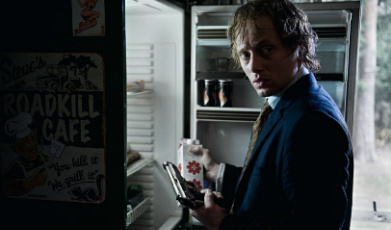 Jo Nesbo’s Headhunters will hit U.K. cinemas on April 6. 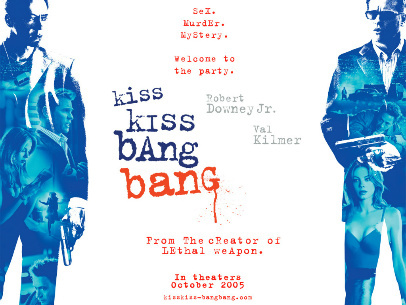 In the meantime, you can read my Kiss Kiss Bang Bang review here. Well now I’m even more excited about this. Thought it sounded good but like you, I doubt it will reach the heights of KKBB. Headhunters is brilliant, but it’s odd they’ve chosen to market it this way as it’s nothing at all like Kiss Kiss Bang Bang. They must think it’ll appeal to a similar type of audience. It’s good to hear Headhunters is good, though. I look forward to seeing it.